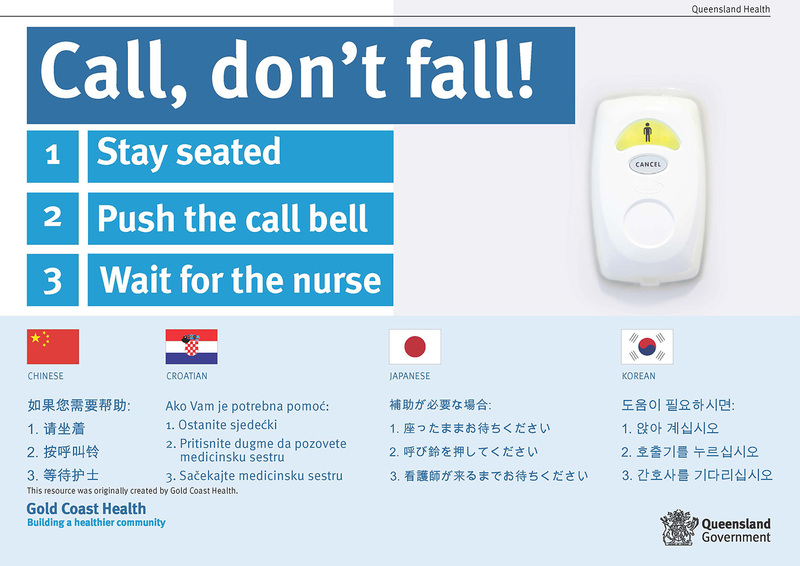 April No Falls, a national and international campaign to educate and raise awareness of falls prevention and help those at risk of falling to stay on their feet. The April No Falls 2018 campaign key messages for clinicians and patients, carers and family members are below. Patient's fall when they don't call - help your patient to stay on their feet. Talk to them about a toileting plan today. Patient’s fall when they don’t call! Talk to your patient about their medications and falls risk. Some medications can make you dizzy. When you’ve got to go - get up slow. Stay on your feet – call don’t fall!